Started by Cecil and Mavis duCille over 60 years ago, this ministry has to provide sound teaching from the Word of God to encourage Christians around the world to press into the kingdom of God in these last days.This is not a ministry of a few, but of the emerging Body of Christ. We believe strongly in the end-time work of Christ within the believer. After their passing in 2008 and Cecil in 2009, those of us that had been blessed and strengthened by their ministry felt the need and the call to continue this ministry. We are so thankful for the many years of faithful ministry they had to the Lord. 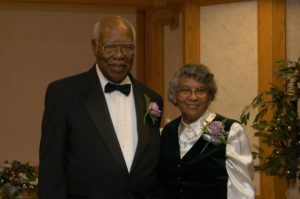 He and Mavis dedicated their lives to the Body of Christ, and we have all been eternally blessed by their sacrifice. They most certainly fought a good fight, finished their course, and kept the faith. They have now joined the ranks of that great cloud of witnesses. Praise God. The current Board members of Sonlight Ministries are: Peter Schneider, Gary Sonmore, Tom Sigwarth, Russell Blom, David Walter, Bob Unger and John Baynes.